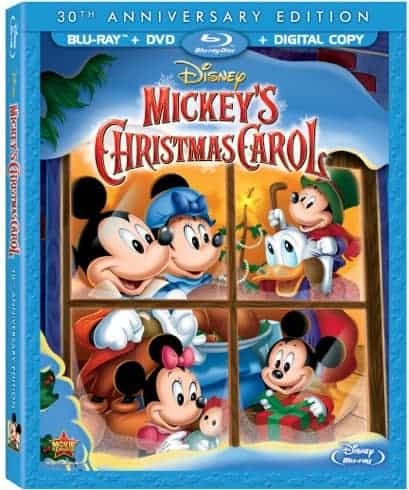 Add a treasured Disney holiday classic to your Blu-ray collection with the debut of Mickey’s Christmas Carol 30th Anniversary, now available as of November 5th, 2013, fully restored for a new generation of holiday enthusiasts to enjoy. Mickey’s Christmas Carol is an abbreviated version of the timeless Dickens classic, A Christmas Carol. Beloved Disney characters Scrooge McDuck, Goofy, Mickey Mouse, Minnie Mouse, Jiminy Cricket and many others that you and your children are sure to recognize step into the roles of iconic Ebenezer Scrooge, Jacob Marley, Bob Cratchit, and Tiny Tim, just to name a few. A Christmas Carol is one of the most well known stories ever told, and I’ve seen a number of versions of it as well as films inspired by the story. I wasn’t sure that I had actually seen Mickey’s Christmas Carol, though! Once I started watching it, certain scenes seemed familiar to me. This twenty-six minute long short film captures all of the themes and lessons in the Dickens classic, and would be a perfect introduction to this wonderful holiday story for young children—and those young at heart. In addition to Mickey’s Christmas Carol, the following Christmas, snow, and winter-themed Disney shorts are also on this Blu-ray. Yodelberg A brand new Mickey short done in 2D. Mickey is attempting to visit Minnie, who lives atop a mountain, but an impending avalanche and other obstacles could stop him in his tracks. The Hockey Champ A 1939 Donald Duck short in which Donald shows off his graceful skills on skates. His nephews join him out on the pond in their skating gear, and Donald takes on all three of them himself in a hockey match. Pluto’s Christmas Tree A 1952 Mickey short in which Mickey and Pluto pick out their Christmas tree. Chip n’ Dale are in the tree that Mickey chops down and they continue teasing him once Mickey brings the tree inside. The Art of Skiing A 1941 Goofy short in which Goofy learns how to ski and demonstrates the different techniques. Corn Nuts A Donald Duck short in which Chip n’ Dale steal Donald Duck’s corn nuts and he goes after them, trying to get them back. An old favourite that always makes a child happy to receive for Christmas. This makes happy not only child ! A timeless classic you wanna watch over and over again. Would love that for my daughter. love Mickey Mouse at Christmas time with family!! I love Mickey Mouse. This would make a great movie night with the kids! 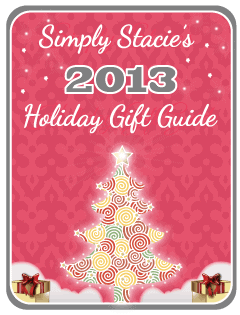 !Or even a good stocking stuffer!! I used to watch this every Christmas with my sister and brother. We loved it! Great memories. A classic! I loved this when I was little, glad to see they have released it again! I love a Christmas Carol and MIckey Mouse… The two combined are even better! Since this is one of my favorite Christmas stories and I collect Disney things I would love to see this movie again. Great review. Its a family tradition at our house to watch mickey’s christmas carol. My son loved those two shorts you mentioned with Chip and Dale. I can even remember watching them . How fun that they have them out again. It’s great that they condensed this classic for kids. The message and love in the film is beautiful and very important this time of year as well as everyday. I can’t wait to watch this with my grandkids! Thanks for the review! This is a classic, want to watch this again! This would make a great gift idea for my 3 grandsons. Introduce them to ‘My’ Mickey! aw, we used to always watch this when i was growing up. such a good movie! I remember watching Mickey’s Christmas Carol with the kids a few years ago and we all loved it. Maybe we should get it out again and watch it this holiday, thanks for reminding me of this DVD. Micky is such a classic and just a good for the whole family move. Thanks for sharing. I love this movie! I’m glad to hear it’s out on DVD and Blu-ray. I have this Dvd and it is such a good classic to own. Of course the story is very interesting! Who doesn’t love Mickey Mouse, and Christmas!